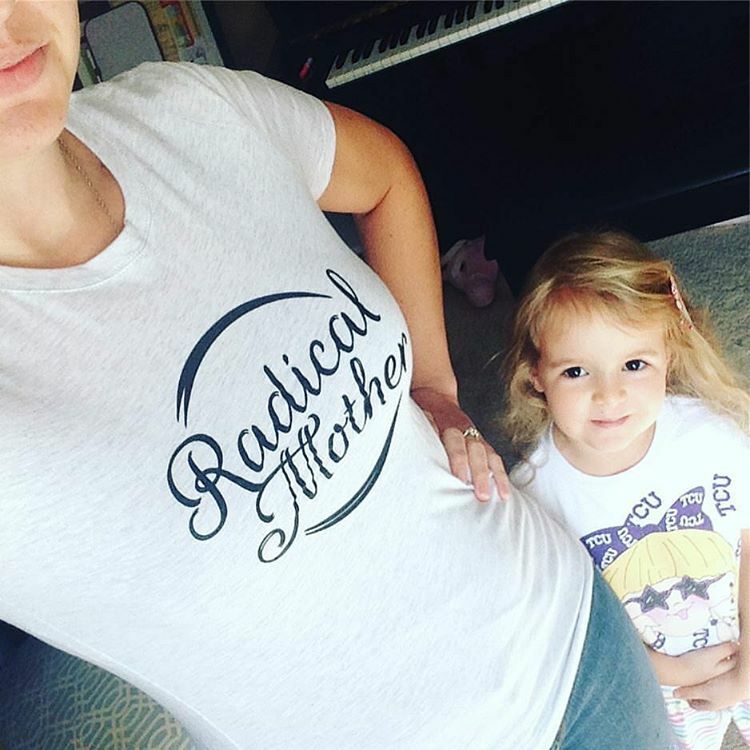 You are here: Home / Family / Motherhood / Are You a Radical Mother? While being a mother is generally a wonderful thing (minus the sleeplessness, the poop, the tantrums, the food on the floor/walls/ceiling/radiator), sometimes being a mother-among-mothers can be a rough experience. 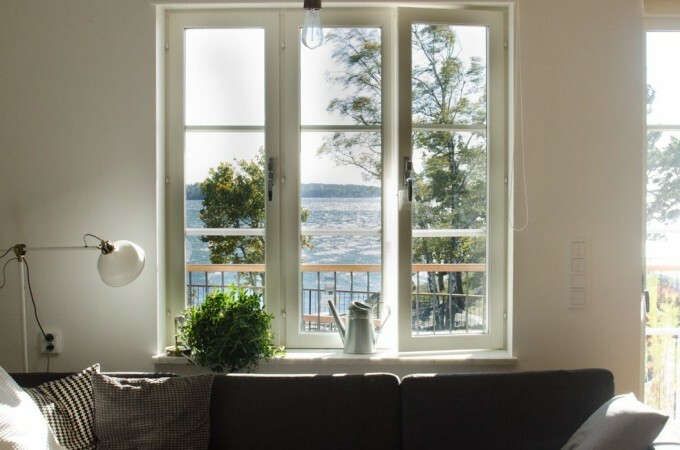 Something about parenting, particularly in the US, frequently leads to too much comparison and competition, and often what results is an increasing sense of isolation. 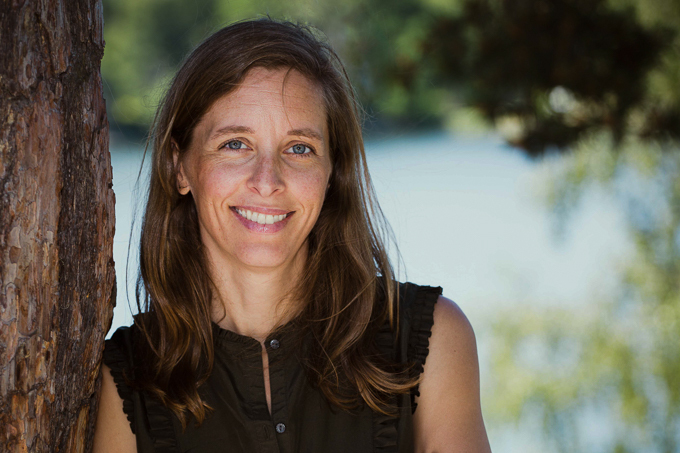 Experts--and even pediatricians and other moms--are often telling us that we're doing it all wrong or we're messing up our children forever if we do x, y, or z. Or that we're messing up our children forever if we don't do x, y, or z. As if parenting weren't already tough enough! 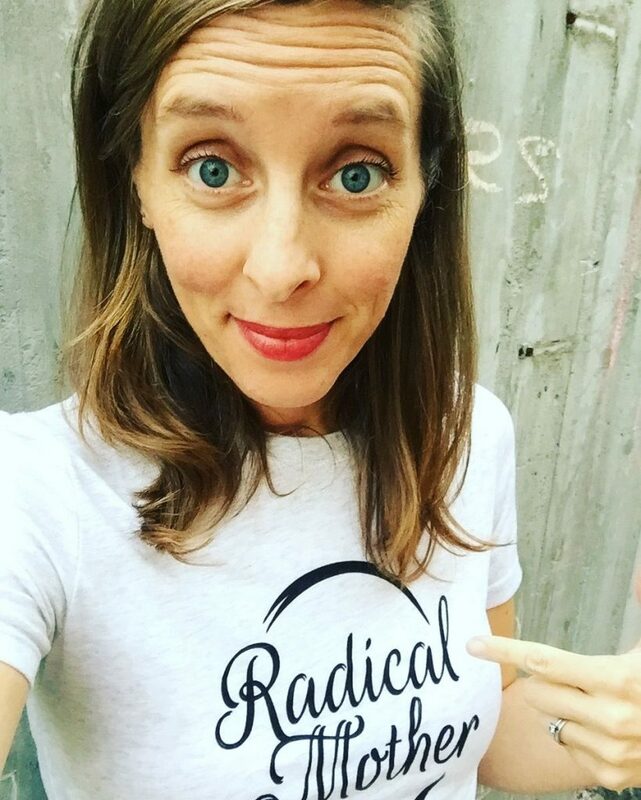 The #radicalmother campaign encourages women to own the decisions they make unapologetically by sharing their stories. By accepting ourselves we are able to accept others and by accepting others, we create common ground. This common ground is where we are able to begin to shine a light on the perinatal & postpartum depression epidemic that is growing. 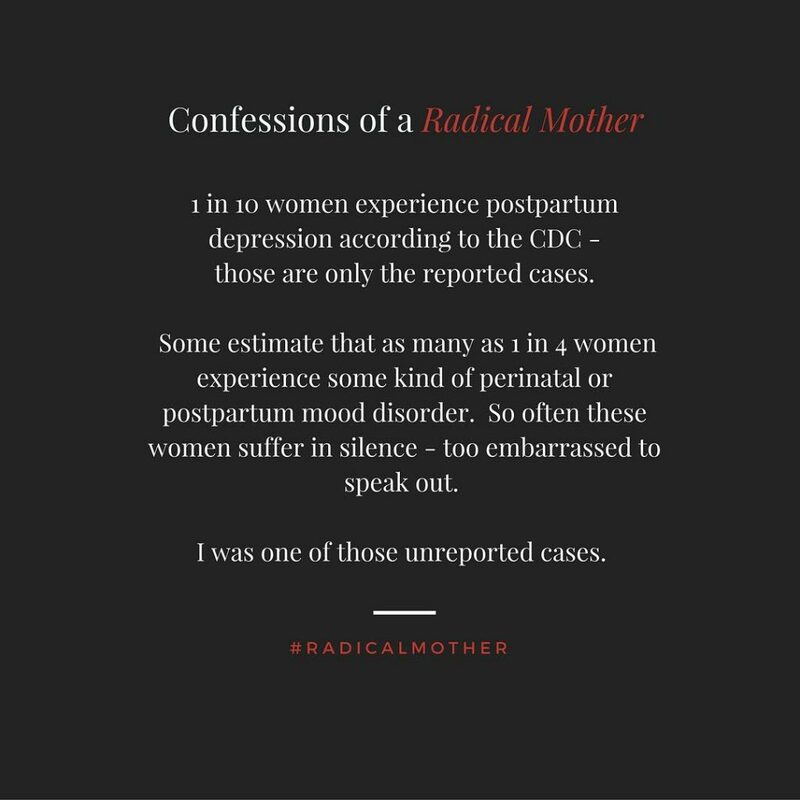 Now through October, the Radical Mother campaign is raising money for Postpartum Progress, an organization aimed at raising awareness and providing support for women experiencing maternal mental illness. I haven't experienced postpartum depression myself, but I know plenty of mothers who have (including one of my favorite bloggers). I have to imagine that enduring any sort of maternal mental illness must be one of the most difficult and alienating experiences in the world, and that even a little support can go a long way. 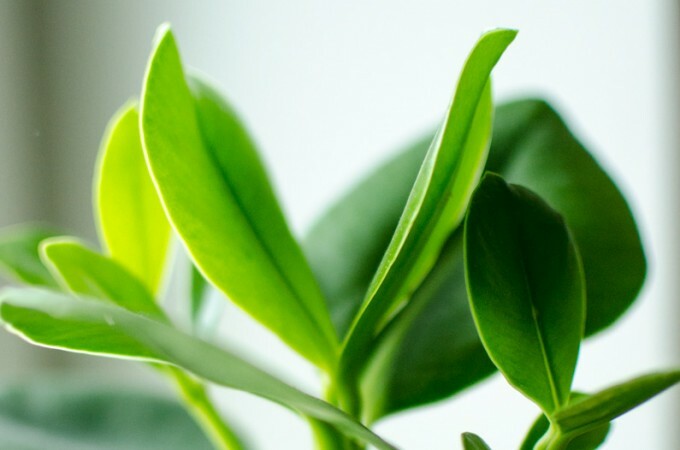 If you're interested in learning more about the project--and participating--click here. 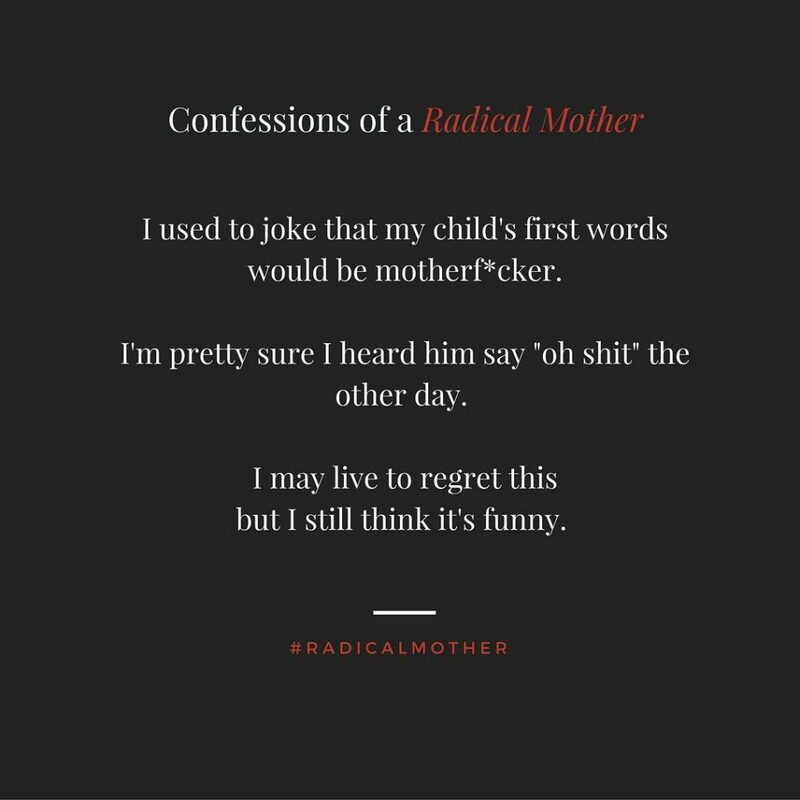 Also check out their Facebook page for more info and check out some more great #radicalmother confessions on Instagram. Some of my favorite are below. Being a #radicalmothermeans teaching my children that self care is not selfish and that we all get space to be flawed and make mistakes. 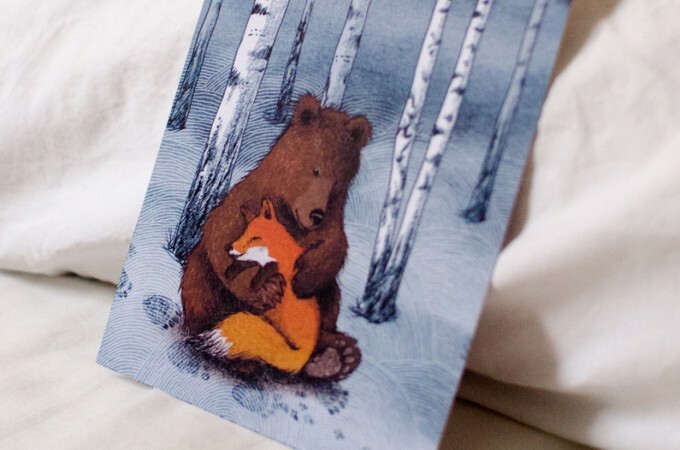 I am a radical mother because I have no desire to be a "Pinterest mother." I know that my love for my kids comes through just as well in an imperfectly-frosted, undecorated sheet cake as it would in pirate-frosted cupcakes eaten by kids wearing pirate party hats wielding pirate swords while searching for pirate treasure. I don't strive for that perfect ideal because it's Just. Not. Me. At the same time, I can applaud mothers who do. They don't threaten me and I don't have to threaten them. 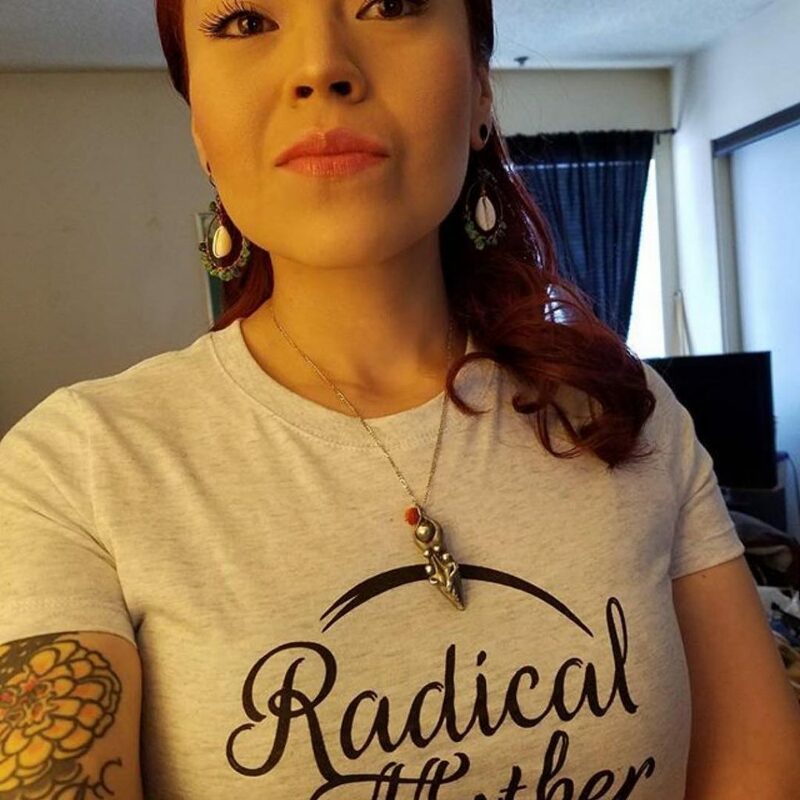 I'm a radical mother because I stopped listening to "experts" and reading books and blogs, and instead started paying closer attention to the wonderful mothers around me. I learn far more from watching how they interact with their children than by being shamed by experts. 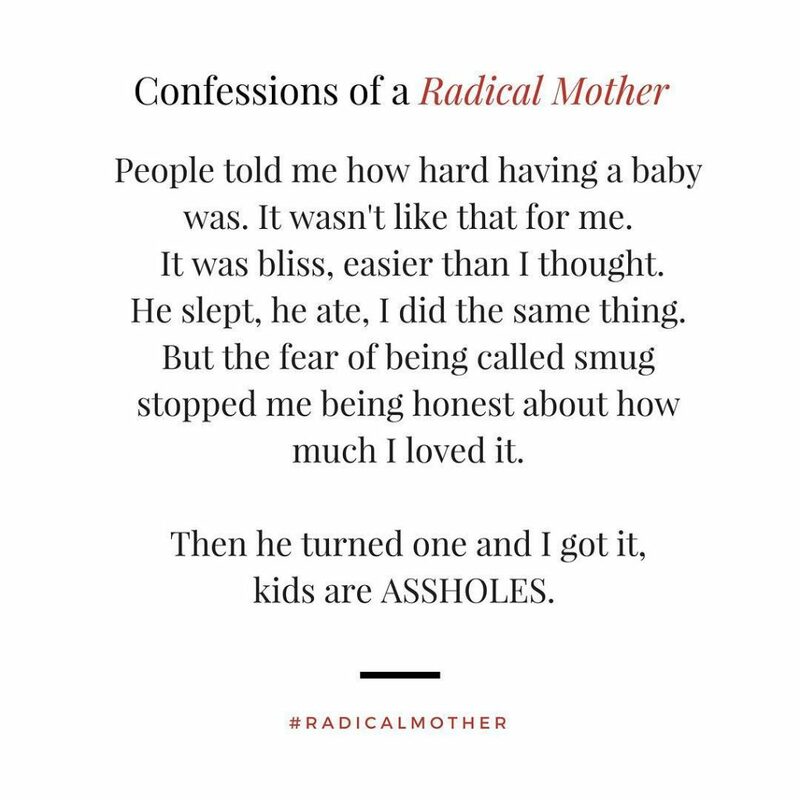 I'm a radical mother because I coslept with my babies but I also let them cry a bit to learn to work it out on their own. Because I wore my babies and pushed them in a stroller. Because I was home with them both for 1.5 years and then was thrilled to send them to daycare. Because I don't see every choice in parenting as an either-or, us-against-them decision. If you'd like to make a confession of your own, jump over to the Radical Mohther Facebook page or Instagram and tell your story. Share below, too, because I'd love to hear! Why my kids look moody in all their pictures, and why I generally look slumpy in my own.